Inside the monastery in Borgo San Pietro, that Filippa Mareri had founded and supervised personally, there was not only spiritual activity; nuns used to work, made the charity service and the apostolate. In the monastery, cloistered nuns used to prepare medicines and distributed them freely to the sick through small doors made of iron gratings. 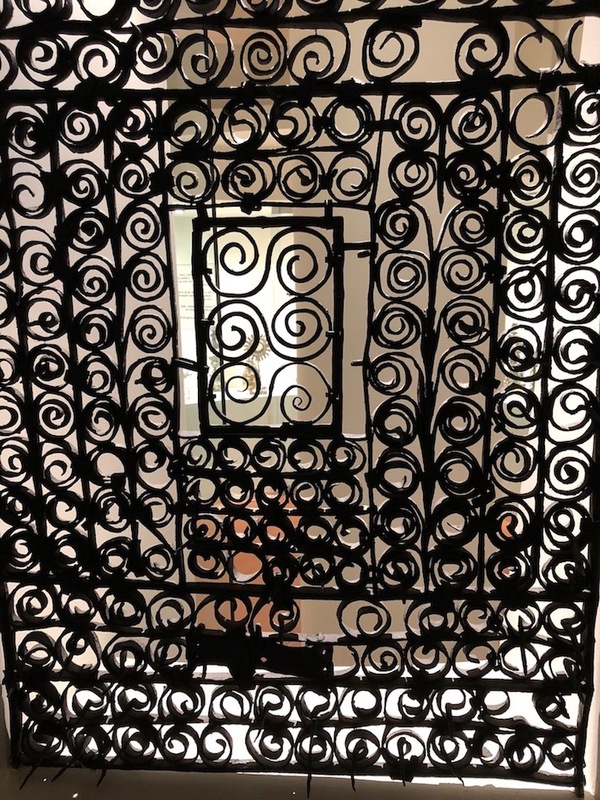 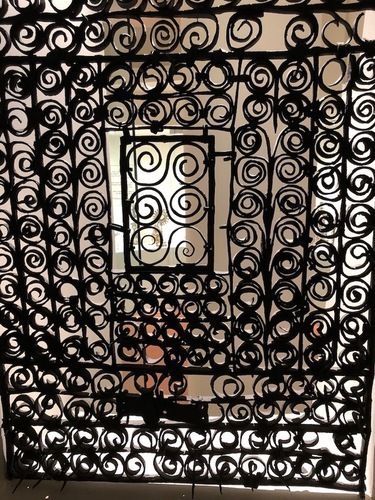 The small door made of iron gratings that the nuns used to distribute medicines. 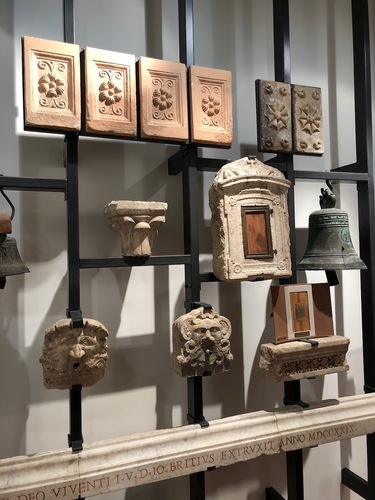 Some decorative elements of the old Monastery's facade. 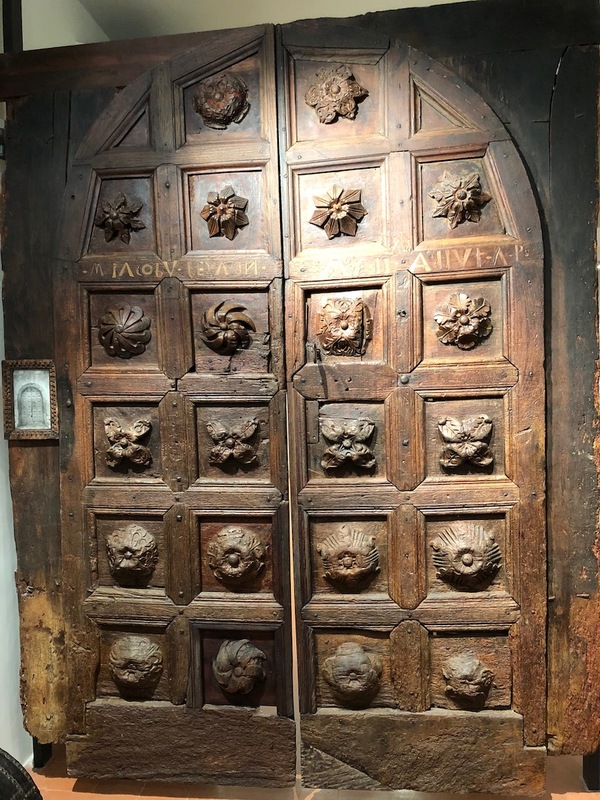 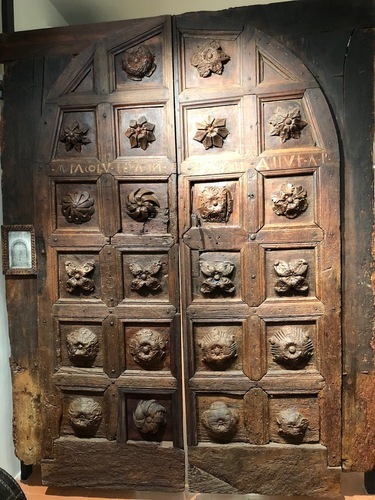 The ancient Monastery's wooden door, decorated with roses carved in the wood. 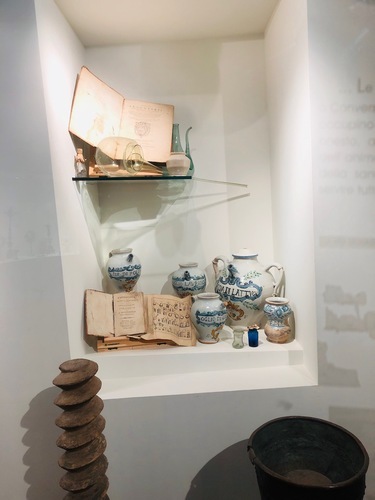 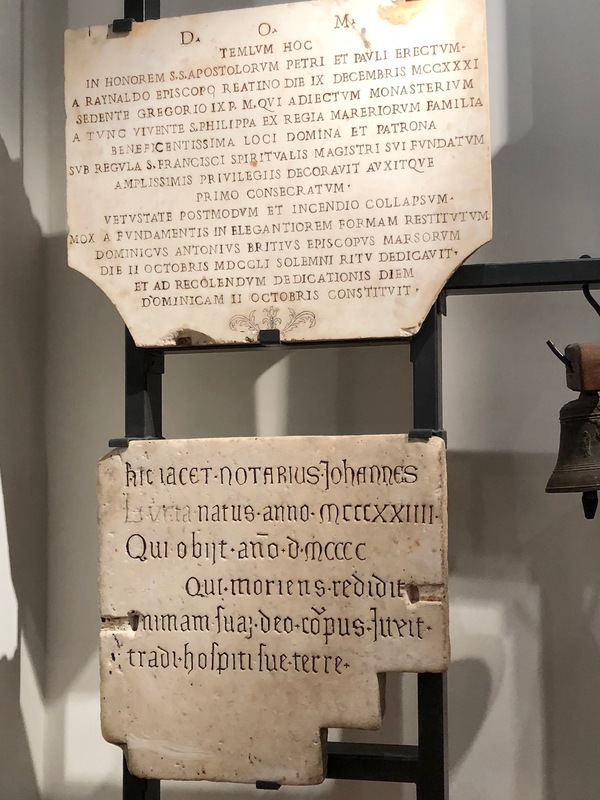 The Museum offers a glimpse of monastic life from different ages with the exhibition of decorative artefacts, furnishings, crafts, objects from daily religious life of the time, recipe books and pharmacy tools. 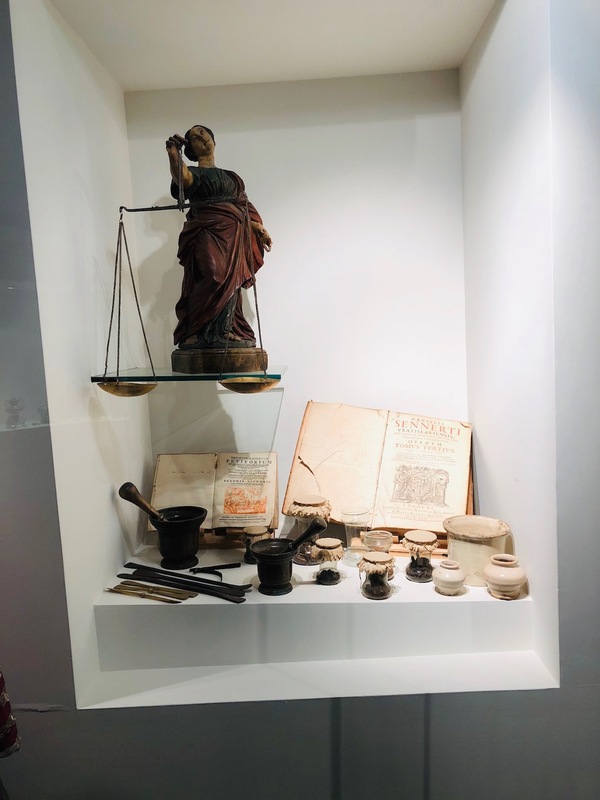 The tools that were used in the Monastery to produce drugs. 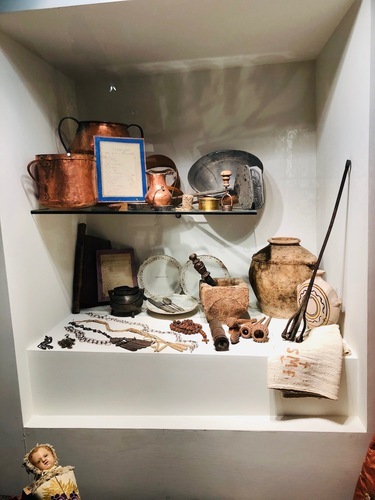 Some of the objects used daily by nuns for community life.